EES announces a solution for working during a pandemic: Remote Location Servers to run your trading strategies or your office. Order while supplies last (the infrastructure will be in short supply as many will do the same). With Swine flu approaching pandemic status, many are recommending the early preparation for a pandemic. Properly planned, a pandemic can have a minimal impact on business operations, as many of today's functions can be managed from a home-office or remote location. Central to any disaster recovery or pandemic operations is a dedicated server. FX System Hosting offers a wide range of tools to support your I.T. backup plans, including dedicated servers, FTP backups, assisted service plans, webhosting, $10 .com purchases, email marketing, and more. Use a dedicated server for trading, or install Microsoft Office and use it like a desktop. This service is a full data-center solution, where customers can get virtual dedicated servers or full dedicated servers and 24/7 support. Other VPS providers for the EA market provide virtualized order execution solutions that do not provide the flexibility of having your own dedicated server. Why our service is better than other VPS solutions. Any new order of a Virtual Server or Dedicated Server will receive a check from EES, either $20 or $40 ($20 for virtual $40 for dedicated). Must keep account for at least 2 months. Mention offer code EESS28A. 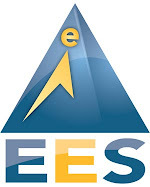 Also, the purchase of ANY product or service from www.fxsystemhosting.com will receive EES I.T. pack, and Elite Expert Trader, EES award winning EA package (see www.eliteetrader.com ). http://fluwikie.com/ A Wiki is a type of online collaboration that allows anyone (including you) to edit any page on a website. The open nature of the wiki format allows diverse, decentralized participation, and has shown itself able to develop surprisingly effective and sophisticated products, such as the Wikipedia. first time that a swine flu has been detected in humans. ... Evidently, no one is a world expert. The World Health Organisation is awaiting formal confirmation from US authorities the new swine flu virus has spread significantly between people, a sign that could indicate an "imminent" influenza pandemic. "We've never had a situation like this in the world. It's the first time that a swine flu has been detected in humans. ... Evidently, no one is a world expert." But a Seattle-based risk assessment firm, Veratect, whose clients include corporations and nonprofit organizations that operate internationally as well as some foreign governments, says it noticed something was wrong in late March. It issued a warning to its clients on April 2 of what it said could be a worrying new flu strain in southern Veracruz state. Veratect's chief scientist, James Wilson, said in a posting on his private blog, Biosurveillance, that the company noticed something amiss on March 30, when a lawyer fell seriously ill in Ottawa after returning from Mexico. April 27 (Bloomberg) -- Stocks declined around the world, while the yen, dollar and Treasuries gained as the swine flu outbreak spread. Mexico's peso fell and grain prices retreated. The Dow Jones Stoxx 600 Index of European shares dropped 1 percent, led by airlines on concern that the disease will reduce travel. Futures on the Standard & Poor's 500 Index slipped 1.8 percent. The yen climbed more than 1 percent against the euro and the peso slid more than 3 percent against the dollar. Corn fell the most in a week on speculation the outbreak may curb demand for pork and animal-feed grains. The spread of swine flu from Mexico to as far as New Zealand prompted concern of a pandemic, snuffing out a rebound in stocks that has pushed the MSCI World Index up 27 percent since March 9. Shares also fell and Treasuries rose after Lawrence Summers, director of the White House National Economic Council, said the U.S. economy will continue to contract "for some time to come," in an interview on "Fox News Sunday." "As if we didn't have enough to contend with," Sydney- based Greg Gibbs and London-based Andy Chaytor, strategists at Royal Bank of Scotland Group Plc, wrote in a report today. "It's just what we need now, a flu pandemic in the midst of the biggest financial crisis since the Great Depression." Yields on 10-year Treasury notes dropped five basis points to 2.95 percent. The yen strengthened to 126.94 per euro from 128.66 last week. The dollar advanced to $1.3151 per euro, from $1.3242. Notice is hereby given, pursuant to 5 U.S.C. App. 2, Sec. advisory committee under 5 U.S.C. App. 2, Sec. 3.
covered by 5 U.S.C. 552b(c)(9)(A). Committee's report to the Secretary. Secretary for Financial Markets (202) 622-2042. Acting Assistant Secretary for Financial Markets. April 24 (Bloomberg) -- Deutsche Bank AG, Germany's biggest bank, may report record trading revenue at its securities division in the first quarter as credit markets stabilized. Buying and selling bonds, currencies and commodities probably boosted trading revenue, excluding writedowns, above the 5.07 billion-euro ($6.7 billion) record in the first three months of 2007, people familiar with the matter said. The rebound will propel earnings at the Frankfurt-based bank, which posted a 4.8 billion-euro loss in the final quarter of 2008, analysts said. Credit Suisse Group AG, Goldman Sachs Group Inc., Citigroup Inc. and JPMorgan Chase & Co. announced first-quarter results in the last two weeks that beat analysts' forecasts as trading revenue surged. Deutsche Bank may report first-quarter net income of 804 million euros, according to the median estimate of 10 analysts surveyed by Bloomberg News. "We expect a very good result if you strip out the writedowns," said Dirk Becker, a Frankfurt-based analyst at Kepler Capital Markets who recommends buying the stock. "Trading should benefit from wider spreads, higher bond issuance volumes and market-share gains." Deutsche Bank spokesman Michael Golden declined to comment before the release of earnings on April 28. Leaders attending the Group of 20 second Summit on Financial Markets and the World Economy in London on April 2, echoing the first such gathering in Washington in November 2008, continued the tradition of superficial posturing for political theater on global television, while missing the real target - that is, the need not so much to revive dysfunctional trade that has collapsed from its own internal contradictions, but to redefine the predatory terms of international trade created by dollar hegemony. The big question in our own mind is the depth of complicity and the motivations of the government, the media and major institutions in continuing to support this financial corruption through silence or participation. It wasn't Dr. Krugman's hate-mail treatment of securitization that made my brain go tilt. Toasters! Sylvain paid $5 for ours -- used -- twenty years ago, and it works just fine, thank you very much. A new toaster would not motivate any of my friends or family members to open a bank account. Nor anyone in my daily life: postman, hairdresser, restaurant manager, butcher, bus driver. I do not think any of the octogenarians who called us last year to ask if their pension plans were in imminent danger of going bust would take solace in a toaster, either. The depositor has gone the way of the toaster. After expenses, interest and taxes, few Americans in their earning years have any income left over to put in a savings account, and retirees can't live on deposit interest either. But something else is going on, too. Trying to make ends meet in our service economy has turned most of us into unwitting entrepreneurs. The average working American knows the meaning of the phrase "ownership society," because an increasing share of the operating and financial risks in our economy have been foisted on us by commercial entities seeking infinite returns through endless expense management, not genuine growth. As we reach the limit of self-reliance in an economy that is stacked against us, working Americans are coming dangerously close to realizing that we are the real capitalists; that it is our energy, optimism and ideas that feed the growth of the economy. And capitalists do not need toasters. We need capital. Working Americans need access to funding at a fair cost of capital -- meaning at rates that reflect the value of what we produce and the reliability with which we repay our financial backers. Small business owners, freelancers and entrepreneurs need access to finance, no different than corporate CFOs. We need to be able to respond to business opportunities and, at the same time, plan for the provision of care and education for our children, who are the future intangible wealth of the economy. Yet we have far fewer resources at our command than CFOs, and we are the first to be taxed by the government or be saddled with hidden taxes by the banks. Let's not kid ourselves. A 70s-style banking system cannot serve the American small business owner any better today than it did in the 1970s. Nor can a 70s-style education system, which failed us in math and science, enable us to thrive in an information-based economy. By now it is abundantly clear that our economy cannot be pumped up by consumption. We have consumed ourselves and our environment to death, literally. Economic revival requires that the tables be turned: ordinary Americans need to be treated with respect as the capable producers we are, or can be, not the mindless consumers that we are expected to be. For this inversion to take place, the economy must be re-engineered to listen, think, judge, respond, take responsibility and above all adapt, through the use of informational feedback. In an economy that rewards responsible resource allocation and renewability, informational capital is uniquely important because its value increases – rather than being depleted -- through utilization. All of which brings me back to securitization: the only form of credit extension that can realign the incentive structure so as to reward value creation by transforming data into informational capital and using it as a partial substitute for monetary capital. That is what securitization was before the banks set out to sabotage it. Sylvain and I watched the abuses begin in earnest after 1998 and the failure of Long-Term Capital. It took about a decade to completely dismantle the securitization market by subverting its rules, which were not well known outside the circle of practitioners. Because ignorance kept the easy money machine well-lubricated, everyone had a hand in its destruction, including the people whose best interest it was not to destroy it: investors, regulators, finance professors, journalists and ordinary Americans who were allegedly too dumb to understand it. Supposedly, the economic crisis is going to teach the American consumers a lesson or two about their spendthrift ways: more second-hand toasters, and fewer plasma TVs funded by the "home ATM." But what about the people who got off scot-free with our equity? What have they learned? And more importantly, when can we expect the return of a real economy? We are used to being taxed. We accept the necessity of sacrifice. Yes, there is pride and honor and a sense of due accountability in the label "taxpayer." At the same time, we have a right to expect that the economy we help finance has incentives in place for our children to live secure, wholesome, meaningful lives. Because we live in a commercial society that regulates itself through information, raising the incentives means raising the standards on informational disclosure, which will have the effect of lowering the barriers to entry for anyone who demonstrates the ability to generate that which others value. As a good faith gesture towards the re-establishment of the economy on a fairer footing, we ask the government to acknowledge that we are being made the lenders of last return in the attempt to restart a baking system that, as yet, we have no reason to trust. We deserve to know precisely how big our transfers of wealth are going to be. And then, we'd like reasons to believe we will never be asked again. Originally published at the R&R Consulting website and reproduced here with the author's permission. As the Credit Crunch continues to affect the worldwide markets the need for efficient methods to combat financial fraud has become more important than ever. Now researchers at the University of Sunderland are working on a smart computer that they believe will be able to detect insider trading fraud within the stock exchange almost instantly. Washington's mayor, Adrian M. Fenty, has proposed a "streetlight user fee" of $4.25 a month, to be added to electric bills, that would cover the cost of operating and maintaining the city's streetlights. New York City recently expanded its anti-idling law to include anyone parked near a school who leaves the engine running for more than a minute. Doing that will cost you $100. Beneath his seemingly boundless charisma and charm, Barack Obama has always been an utterly ruthless politician. He has been a compromiser who has danced with the darkest forces of political and criminal power, while winning over common people; a consensus-abiding chameleon and a "pragmatist." Obama is the true model of what George W. Bush only claimed to be: "a uniter, not a divider." Earlier, during the downturn in the equities market between December 1999 and September 2002, approximately $10 trillion of equity was erased. But a measure of financial system performance, the Keefe, Bruyette, & Woods BKX index of financial firms, fell less than 6% during that period. In the current downturn, the value of residential real estate has fallen by approximately $3 trillion, but the BKX index has now fallen 75% from its peak of January 2007. The financial sector has been devastated in this crisis, whereas it was almost completely unaffected by the downturn in the equities market early in this decade. How can one crash that wipes out $10 trillion in assets cause no damage to the financial system and another that causes $3 trillion in losses devastate the financial system? The Fed has already started this process by starting to purchase $300 billion of Treasury Notes. This has pissed off China. They see the endgame.